A challenge blog dedicated to papercrafting and stamping! All content (including text, photographs and design work) © Peggy Toole and Spike or respective artists. Our original artwork is for personal inspiration only and may not be copied for publishing, contests or submissions of any kind. Thank you. 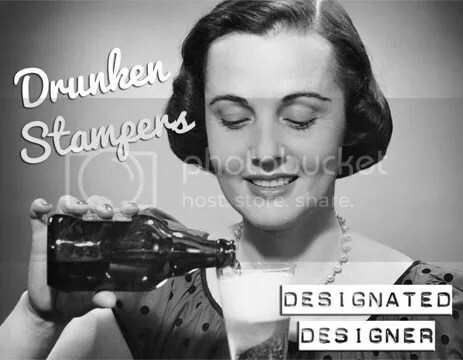 This is a hard post for us to write, but after much talking (and a bottle glass or 2 of wine each) Spike and I have decided to close down the Drunken Stampers Challenges. Life has gotten very busy for the both of us and we need the time to spend with our families and to take care of ourselves. We started DS as a way to challenge each other and have fun while living so far apart, little did we think we would get to have an amazing design team and have so much fun in the process. Thank you to everyone who has played along with us over the years and to a very talented design team that has been so helpful with everything and always willing to help out when needed without you we would not have been around as long as we have been. It has been an amazing 4 years and we have had a wonderful time, but it is time to close the lounge doors. I’m so sad to see you go. So long and thanks for all the fish! Sorry to see it end! Oh so sad to see you end this but totally understand!!! Thanks for the fun!! Thanks for all your hard work- I had lots of fun in the lounge! Best wishes to you both!